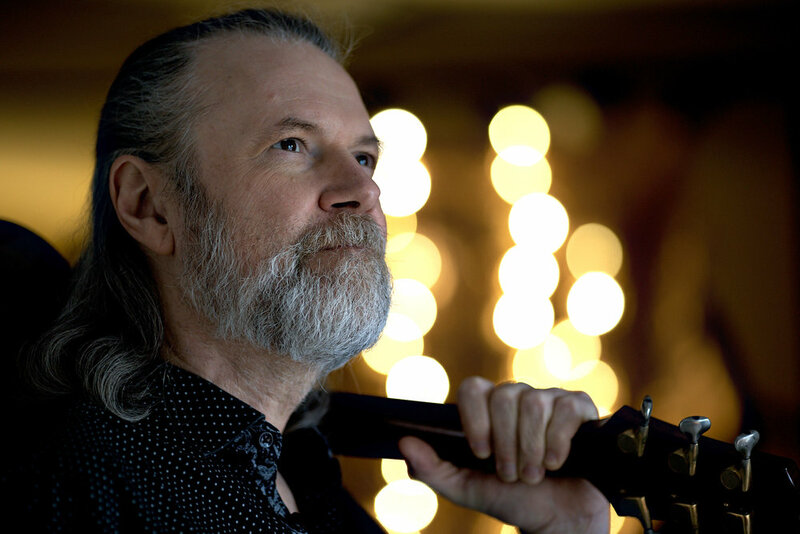 Beppe Gambetta, a longtime favorite at Black Rose, is continually composing his personal mosaic of sounds and flavors. From his background as an Italian musician in love with both American roots music as well as the music of his native country, Beppe has traveled the world and even crossed the “Iron Curtain” to dazzle and charm music enthusiasts everywhere. After 11 CDs, DVDs, teaching books and collaborations with many other top-flight musicians, Gambetta is increasingly known as one of the true live master innovators of the acoustic guitar. While Gambetta still lives in his native Genova, he travels to North America at least three times each year. His reputation in the U.S. and Canada is reinforced by his participation in prestigious festivals like the Walnut Valley Festival in Winfield, Kansas, Merlefest in North Carolina, the Four Corners Festival in Colorado and Canadian Folk Festivals in Winnipeg and Edmonton, as well as events like the radio shows “All Things Considered” and “E-Town.” Beppe has performed at the Ryman Auditorium in Nashville and the Metropolitan Museum of Art in New York. He has performed with some great heroes of the folk scene including David Grisman, Gene Parsons, Doc Watson, Norman Blake, and with the band Men Of Steel: an international guitar summit (Dan Crary, Tony McManus, and Don Ross) of different guitar schools with complex musical interactions. Gambetta's playing and singing stand out for their intimate emotions, communication, tone, sobriety, and humor. His music modestly avoids relying solely on his high level of technical excellence but reveals the innermost feelings of a brilliant, playful mind that is always exploring and innovating while staying firmly rooted in tradition. He creates a fusion where American roots music and Ligurian tradition, emigration songs and folk ballads, steel-string guitars, and vintage harp guitars not only coexist but interact, weaving a deep dialogue. Opening acts are Denver-based The Choralary, a seven-piece ensemble featuring four-part harmony and guitar, banjo, mandocello, bodhrán, djembe, cello and flute; and singer-songwriter Leah Grams Johnson, a Berklee College of Music alumna and songwriting finalist in the Telluride Troubadour and Rocky Mountain Folks Fest competitions.